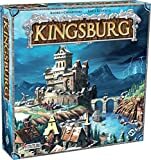 Kingsburg is a dice rolling and worker placement strategy game with a medieval theme where players try to earn the favor of the king Tritus. Players must gain resources, construct buildings, strengthen your defenses and train armies to defend their territory from the enemies that mass on the border. The game takes place over 5 years for a total of 20 turns and at the end of each year you must battle enemies. Each season, you have 3 dice to roll which determines which advisors a player may influence to gain resources, military, and die bumps. 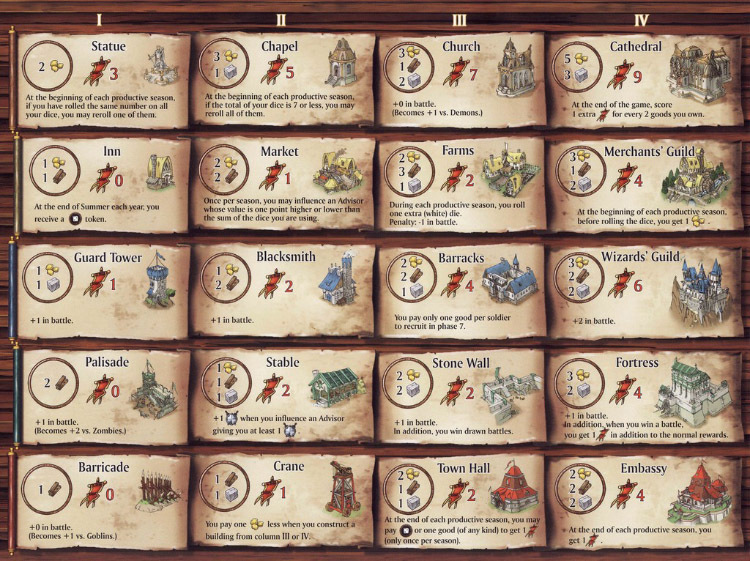 The resources are needed to purchase buildings, which grant special powers as well as victory points in the end. 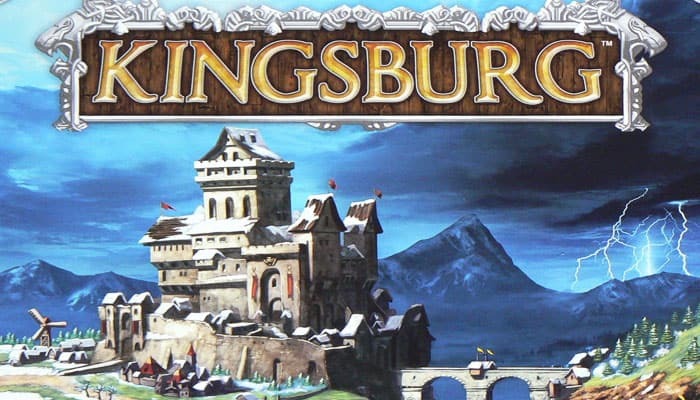 After five years, the King will reward the player with the most victory points as most successful governor and he is the winner of the game. You can activate both the Statue and the Chapel effects in the same season, but only once for each effect. For example, if you roll your three colored dice plus one white die and your result is 2,2,2,2, you can reroll one die thanks to the Statue effect (the Chapel won't help you because the total of all dice rolled is 8).